This piece was originally published on the Island Institute blog. Like moths to a flame, the press was all over the start of construction on the Block Island Wind Farm last July. After a decade-plus of starts and lawsuit-induced stops, America’s first offshore wind project was finally being built. The stories covered the prerequisite details: size of the project, cost, technology being used, and of course the politics behind it. Absent from most discussions, however, were voices from the project’s host community, Block Island. As director of the Community Energy Program at an organization that places year-round island communities at the center of its mission, it was hard to let this piece of the story go untold. It’s my hope that our newly-released report, “Engaging Communities in Offshore Wind: Case Studies and Lessons Learned from New England Islands,” will help fill in the gaps. From Day One at the Island Institute, I’ve thought about how to ensure that island and coastal communities have a seat at the table in discussions about offshore wind. In fact, my first hours on the job in 2009 were spent in a meeting for a subcommittee of the Maine Governor’s Ocean Energy Task Force that focused on strategies to engage the public in siting ocean energy demonstration areas. At the time, Cape Wind was mired in local opposition despite having several permits in hand, and Rhode Island was in the midst of an ocean planning process that would inform the siting of the Block Island Wind Farm. Little did I know that New England islands would continue to play a key role as the U.S. offshore wind industry tried to get off the ground – and into the water. Island residents in the 2015 New England Islanded Grid Exchange Trip meet with Block Island leaders and a representative from Deepwater Wind at the site where the submarine cable from the offshore wind project will come ashore. Fast forward six years. Sarah Klain, a Maine native and PhD candidate at the University of British Columbia studying community attitudes towards offshore wind, reached out to me after the New York Times featured our 2014 trip to Samso Island, Denmark. Thanks to the support of the BRITE internship program at UBC, Sarah came to the Island Institute in summer 2015. She worked to document our experiences supporting island and coastal communities as they engaged in discussions around offshore wind so that we could share them with a broader audience. Sarah also brought a researcher’s perspective that enabled us to develop more meaningful language around what we were seeing. Recommendations like “engage early and often” seemed too simplistic and overused. Instead, Sarah helped us to link island experiences with offshore wind to the in-depth, more nuanced literature on stakeholder engagement, which gave us the ability to be more specific in expressing island needs and challenges. Block Island, RI – When town leaders on Block Island realized that they didn’t have the internal expertise or the ability to pay for an evaluation of the technical aspects of the project, they came to an agreement where the town would be reimbursed for consulting fees by Deepwater Wind, the project developer. By making information readily available and accessible, the parties were able to avoid a “David and Goliath” dynamic and ensure that the community had the answers it needed to understand the project. For this creative solution and others, we were excited to honor the two with our 2015 Island Energy Innovation Award. Martha’s Vineyard, MA – With Cape Wind proposed in the island’s “backyard” and talk of more offshore wind projects on the way, leaders on Martha’s Vineyard embraced the idea that future development could occur with local priorities in mind. 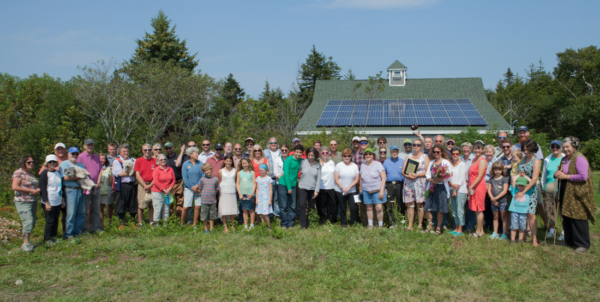 Vineyard Power, a community-owned energy cooperative, was formed in 2009 to provide the island with more autonomy over their energy production and better ensure community benefitsassociated with renewable energy development. Shortly thereafter, Vineyard Power launched an impressive effort to ensure that the community and potential developers hadaccess to locally-relevant information that helped to increase public support for a collaboratively-sited project. Monhegan, ME – Communication on an offshore island where community leaders wear dozens of hats can be tough enough but imagine the challenges when it comes to keeping up with technical information in the ever-changing environment for offshore wind. In 2013, members of the Monhegan Energy Task Force began working with representatives of Maine Aqua Ventus to establish a memorandum of understanding on project communications. By clarifying roles and responsibilities, both parties were able to share information in a more timely, effective manner as well as facilitate mutual learningbetween the community and the developer. One of my favorite parts of working on the report was recognizing the exchange of information between the islands on this topic. 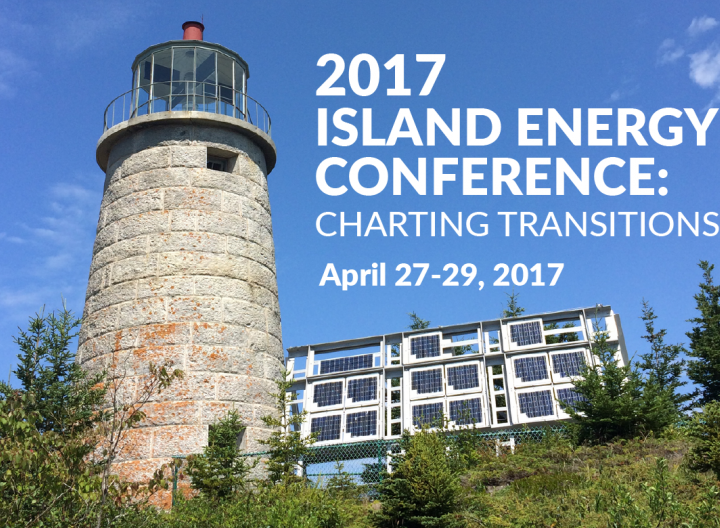 Many of the local leaders involved in these projects have been in contact for years, sharing their first-hand experiences through annual events such as the Island Energy Conference and our Islanded Grid Resource Center Exchange Trip. While each of these islands and the projects are unique, it has been great to see islanders’ practical, community-focused approaches resonate with each other. It’s our hope that the lessons learned featured in the report will resonate beyond the islands as well. With New England continuing to find itself at the cutting edge of the U.S. offshore wind industry, projects should not only have to demonstrate technical merit and financial viability but that they can co-exist with local communities as well. Strong stakeholder engagement practices that are supported by both developers and communities – such as those featured in our report – are an important place to start. To download the full report or view a webinar with island leaders and developers discussing our findings, visit our website. To learn more about the Island Institute’s offshore wind work, click here. “Engaging Communities in Offshore Wind: Case Studies and Lessons Learned from New England Islands” was created with the support of the U.S. Department of Energy’sWINDExchange program and the Islanded Grid Resource Center; the University of British Columbia’s Institute for Resources, Environment and Sustainability and BRITE Internship Program; the Gordon and Betty Moore Foundation; and private foundations. The report authors also acknowledge previous support from multiple private and public entities that enabled the programming and engagement efforts described in the report. The report authors wish to thank reviewers from Block Island, Martha’s Vineyard, Monhegan, and the offshore wind and ocean planning sectors for their valuable feedback on the report. Special thanks also go to Island Institute staff (Brooks Winner, Rebecca Clark, Heather Deese, and Eric Wayne) for their contributions to the research and report development processes.